"A most vivid and beautiful cluster, though neither a large nor a rich one, is yet an extremely brilliant and beautiful object when viewed through an instrument of sufficient aperture to show distinctly the very different colour of its constituent stars, which give it the effect of a superb piece of fancy jewellery"
The bright orange star in the centre of the cluster is known as Kappa Crucis. 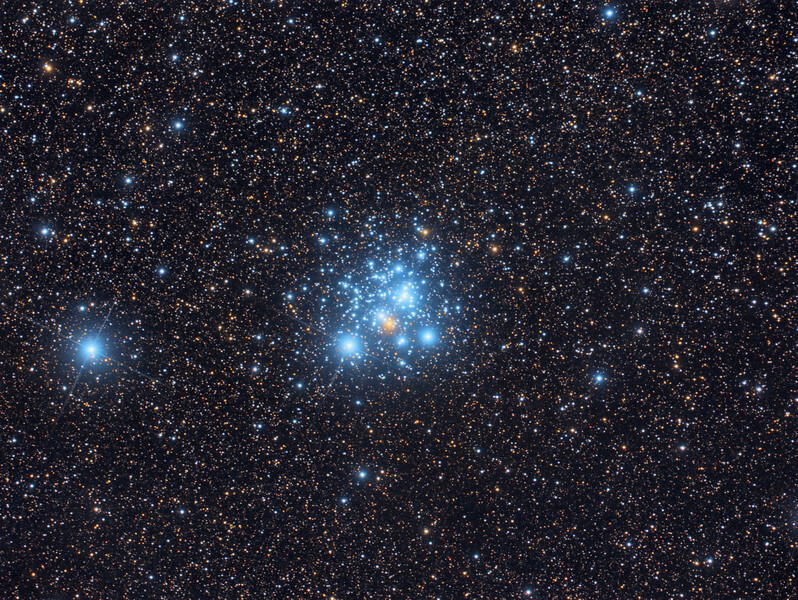 It provides a striking contrast with the rest of the hot blue cluster members. Although the cluster is a mere 14 million years young this star has already reached the red giant phase of its life and will most likely explode in a brilliant supernova within the next few million years.